Wildlife agencies and sportsmen’s groups join coalition encouraging hunters to choose non-lead ammo when hunting. 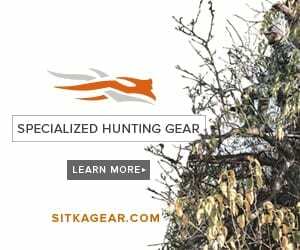 The North American Non-Lead Partnership — formed late last year by the Oregon Zoo, The Peregrine Fund and the Institute for Wildlife Studies — seeks to expand the coalition of hunters, anglers and other conservationists dedicated to improving ecosystem and wildlife health by choosing non-lead options. Three state wildlife agencies — the Arizona Game and Fish Department, Utah Division of Wildlife Resources, and Oregon Department of Fish and Wildlife — have recently joined the partnership, and at least five sports groups have pledged their support. One, the Arizona chapter of the National Wild Turkey Federation, even committed to an annual donation to support the efforts. Since the 1980s, people have worked to remove lead from paint, gasoline and plumbing, but it still can pose a threat to wildlife. When scavenging birds and mammals eat the remains of carcasses shot with lead ammunition, tiny fragments of the heavy metal can be ingested and then absorbed into their bloodstream, often causing long-term side effects and sometimes even death. Non-lead ammunition options, such as high performance solid copper bullets, help prevent lead poisoning in scavengers like bald eagles, golden eagles and other birds of prey. The three founding organizations that launched the new partnership were inspired by the success of the North American Model of Wildlife Conservation, recognizing a long tradition of conservation among America’s outdoor sports enthusiasts. And here’s a video to offer some more information.